What was Japanese American incarceration? Could it happen again? What lessons does this episode in history hold for us today? What responsibilities do we have to uphold the rights of others? How does fear affect national policy? with the Japanese American National Museum, a Smithsonian Affiliate. 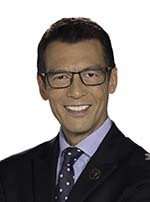 David Ono is the co-anchor for ABC7 Eyewitness News. He also anchors with Coleen Sullivan on Eyewitness News on KDOC-TV. He has witnessed history worldwide, covering Hurricane Katrina, Haiti's earthquake, and Japan's tsunami. He traveled across Europe and Asia chronicling brave acts of the Nisei soldier from World War II. Thanks to the help of Japanese American National Museum (JANM), David produced the highly acclaimed Legacy of Heart Mountain, gratefully using the museum’s barracks as a backdrop and JANM archives as part of the visual content. David has won 5 Edward R. Murrow awards, 20 Emmys, 4 National Asian American Journalists Association Awards and 2 RTDNA National Unity Awards. Karen Korematsu is the founder and executive director of the Fred T. Korematsu Institute and the daughter of the late Fred T. Korematsu. Since her father’s passing in 2005, Karen has carried on Fred’s legacy as a civil rights advocate, public speaker and public educator. She shares her passion for social justice and education at K-12 public and private schools, colleges and universities, law schools, teachers’ conferences, and organizations across the country. Karen’s work, and her father’s legacy, extends to advocating for civil liberties for all communities, and she addresses current issues that draw lessons from the past. She has signed on to amicus briefs in several cases opposing violations of constitutional rights arising after 9/11, including in Odah v. United States, Turkman v. Ashcroft, Hedges v. Obama, and Hassan v. City of New York. She authored the foreword to “Patriot Acts, Narratives of Post-9/11 Injustice” in 2011. William “Bill” Shishima was born in downtown Los Angeles on Christmas Eve in 1930 and is a camp survivor. He graduated from the University of Southern California in 1957. He was in the Cub, Boy, and Explorer Scout programs – including three years as a Boy Scout in camp during World War II in Heart Mountain, Wyoming. He was a Scoutmaster and in the Adult Leadership Program for forty-five years. He was an elementary school teacher in East Los Angeles and retired in 1991. Since retirement, he has been volunteering at Hamasaki School, Japanese American Cultural and Community Center, Japanese American National Museum, Monterey Park Japanese American Senior Citizen’s Club, Keiro Retirement Home, and Hollenbeck Palms Retirement Home. 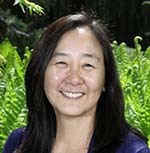 Lorraine Bannai is director of the Fred T. Korematsu Center for Law and Equality at Seattle University School of Law. After earning her J.D. from the University of San Francisco School of Law, Professor Bannai practiced with what is now the San Francisco firm of Minami Tamaki. While in practice, she was on the legal team that successfully challenged Fred Korematsu’s conviction for violating military orders removing Japanese Americans from the West Coast during World War II. Her biography of Fred Korematsu, Enduring Conviction: Fred Korematsu and His Quest for Justice, was recently published by the University of Washington Press. Hussam Ayloush has been the executive director of the Los Angeles office of the Council on American-Islamic Relations since 1998. He frequently lectures on Islam, media relations, civil rights, hate crimes and international affairs pertaining to American Muslims. He has consistently appeared in local, national, and international media advocating and articulating the mainstream Muslim position on various issues. Mariko Fujimoto Rooks is a mixed race Japanese American and African American student in her junior year at Culver City High School. 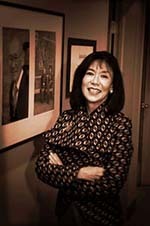 She is an active member of the Japanese American community, participating as a speaker at the 2015 Japanese American National Museum’s Day of Remembrance in addition to her sustained involvement in several organizations such as Kizuna’s Youth CAN and Nishi Girl Scouts. She published her first article at age 13 on teen dating violence awareness and prevention in Asian American communities and advocated the topic to the Culver City Unified School District School Board, receiving the Girl Scout Silver Award for her work. 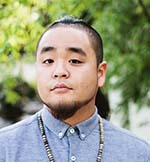 George "G" Masao Yamazawa, Jr., son of Japanese immigrants, is widely considered one of the top young spoken word artists in the country. "G" is a National Poetry Slam Champion, Individual World Poetry Slam Finalist, and Southern Fried Champion, and has toured in over 50 American cities and 5 European countries. An advocate for youth empowerment, G also has extensive experience as a teaching artist facilitating writing/performance workshops for inner city youth in the Washington, DC public school system through Split This Rock, a nationally recognized non-profit organization with a focus in political poetry. Lily Anne Welty Tamai is the curator of history at the Japanese American National Museum in Los Angeles, where she conducts research and development for exhibitions. Dr. Tamai grew up in the agricultural community of Oxnard, California, speaking Japanese and English in a mixed-race household. She holds advanced degrees in Biology and History, and a PhD in History from the University of California Santa Barbara and has conducted doctoral research in Japan and in Okinawa as a Fulbright Graduate Research Fellow and was also a Ford Foundation Fellow. She published a chapter in Global Mixed Race (NYU Press 2014), as well as several articles in the journals Pan Japan and Immigration Studies. She also serves on the U.S. Census Bureau National Advisory Committee on Racial, Ethnic, and Other Populations. Dr. Welty Tamai will be the featured expert in the online chat. Also featured: Kane Yutaka Tenorio, college student and rap artist also known as "Kamikaze Kane." Kane was born in East Los Angeles in 1997 and has lived in the community his entire life. He performs and writes all of his own material, much of which concerns race and social justice and is inspired by his life experiences as a person of mixed Latino, Japanese, Native American and White ancestry. 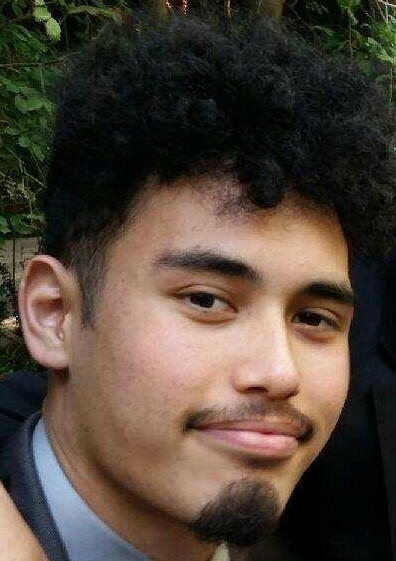 He is currently a freshman at the University of California, Santa Barbara where he is studying political science.